The pendant (MSP4212/GBT) includes an 6ct Oval Stone with 11pts White Sapphires. The earrings (MSE4212/GBT) include an .75ct Oval Stone and 5pt White Sapphires in each earring. The ring (MSR4212/GBT) includes an 3ct Oval Stone and 7pts White Sapphires. 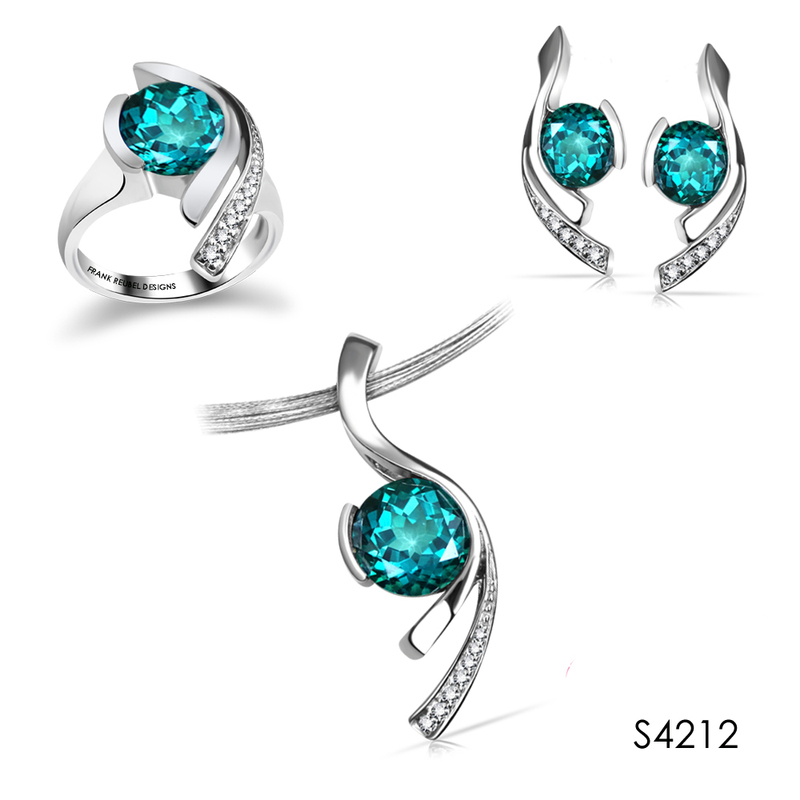 The set is shown here in Caribbean Blue Topaz, a Frank Reubel Designs Signature Stone.